Dr. Siddharth Sirohi celebrated the completion of his degree in an elaborate celebration on Thursday, 5th January 2017. The event was widely attended by people from inside and outside IIT and from a number of departments inside IIT. We hope it was enjoyed by all the people who attended the event. Photographs from the event are displayed in the collage below. 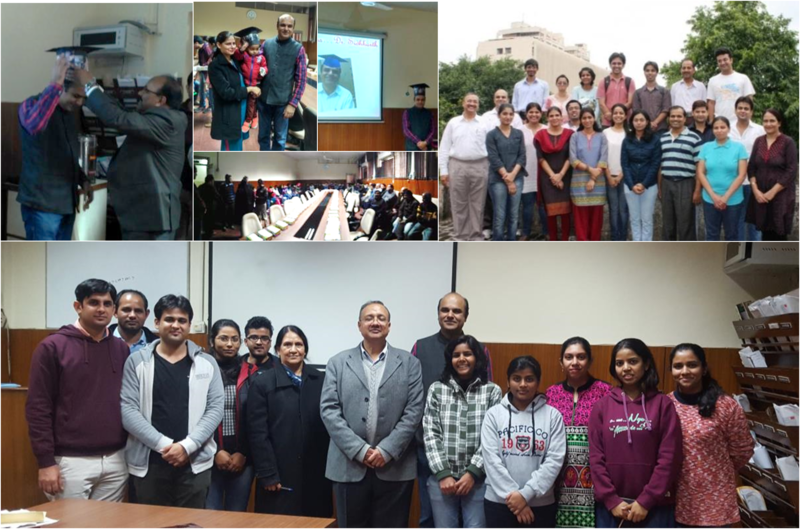 (From top left image in clockwise order): Dr. Siddharth Sirohi receiving the ceremonial graduation cap from Prof. B. K. Behera, HOD, Textile Department; Dr. Sidhharth Sirohi with his family; Dr. Sidhharth Sirohi in his well-deserved graduation cap after winning the quiz; the attendance of the event; SMITA group photograph from 2012-13; SMITA group photograph with friends of Dr. Sidhharth Sirohi.